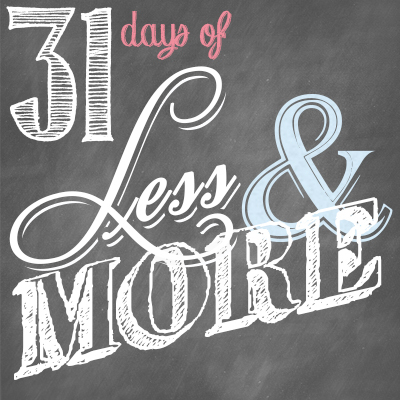 This is Day 15 of our 31 Days of Less & More challenge. To read all the posts in order, start with Day 1, then visit the Overview Page to see the entire series. A few weeks ago we discovered that our television set wasn’t working. Instead of the 12 or so channels in our basic cable/internet package we were now receiving only static. When we called to ask what was going on, the service tech could only laugh that it had taken us so long to notice. He then explained that they had switched to digital six months earlier, and that we were supposed to have installed a special box in order to receive the new signal. Oops. I wasn’t always such an anti-TV kind of girl. There was a time where I had no less than 20 shows I kept up on, and I pretty much had the entire prime time lineup memorized. There were hilarious sitcoms and compelling dramas and exciting crime-solving shows to keep me busy every night of the week. I couldn’t get enough. I wasn’t alone. The average American watches 4 hours of television a day. But then I met my husband, who is my polar opposite in almost every way. The shows I loved, he hated, and vice versa. For a few years we fought over what to watch, but eventually, since we could never, ever agree, we finally just stopped watching anything at all. It took awhile to let go of the idea that I had to keep up, that I might be missing something important. 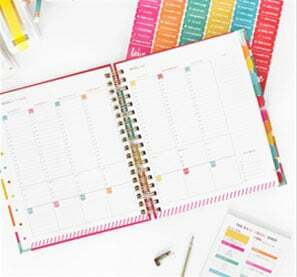 But eventually, as I faced the realization that I hadn’t actually lost anything and had in fact gained hours of free time each week, I finally stopped thinking about it. I used to think I was using TV as a way to relax—and it does seem relaxing—but the reality is that your brain still has to process all the images and messages it is receiving. Spending time being creative, completing projects, enjoying family & friends, or even sleeping is ultimately a much more fulfilling and constructive way to spend your downtime. Studies have shown that people who watch a lot of television are more likely to be overweight, less likely to have fulfilling relationships, and more susceptible to violence. Frequent TV watchers also have a shorter attention span, reduced intelligence. Even scarier, children who watch a lot of TV are more likely to be overweight, bullied, and bad at math, just to name a few. I don’t know about you but I’m convinced! Make a commitment to stop watching television for the rest of the month. Instead, pick a book you’ve been meaning to read and make it your goal to finish it by the end of October. Any book will do but we strongly recommend starting with Neil Postman’s Amusing Ourselves to Death. Next, share your favorite books and also let us know what books you are planning to read this month! Show or tell us on Facebook or Instagram, using the hashtag #31DaysLessMore! Be sure to also check out Crystal’s awesome insight on Less Smart Phone/More Communication from yesterday’s post! What’s your favorite book of all time? Which book or books do you plan to read this month? I have to say I am much more a book person than a TV person! My favorite book lately is Lean In by Sheryl Sandberg. 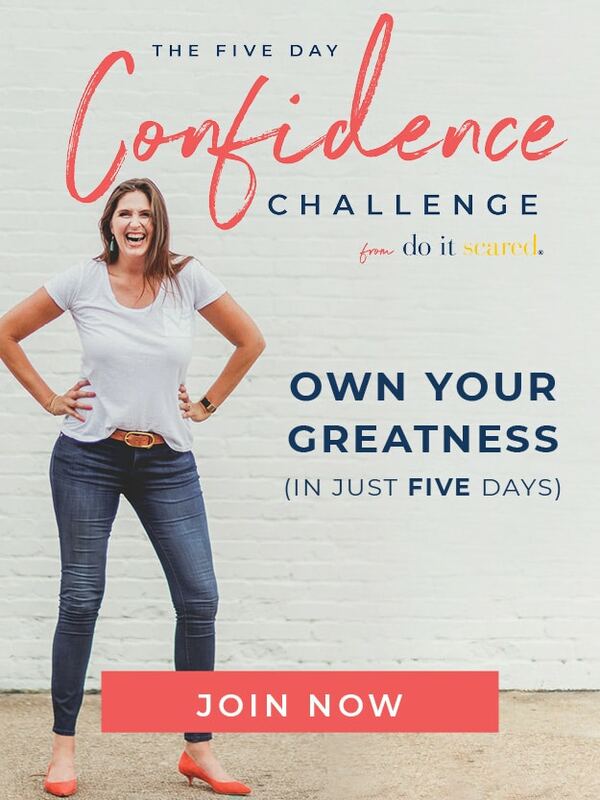 Holly are you a MLM? This book was suggested to me thru my upline. I could definitely use to work on this one! I noticed before I signed up for cable I seemed to get so much more done in my evenings. I’m going to try this one out minus a select few shows I like to maintain. Maybe limit myself to 4 hours a week instead of a day. I’m curious to see how much more I’ll get done. Good luck Heather–keep us posted on your progress! I really love this. Both your post and Edie’s. I have always been a reader and am always trying to work on doing more reading with the kids as well as just for myself in the evenings. 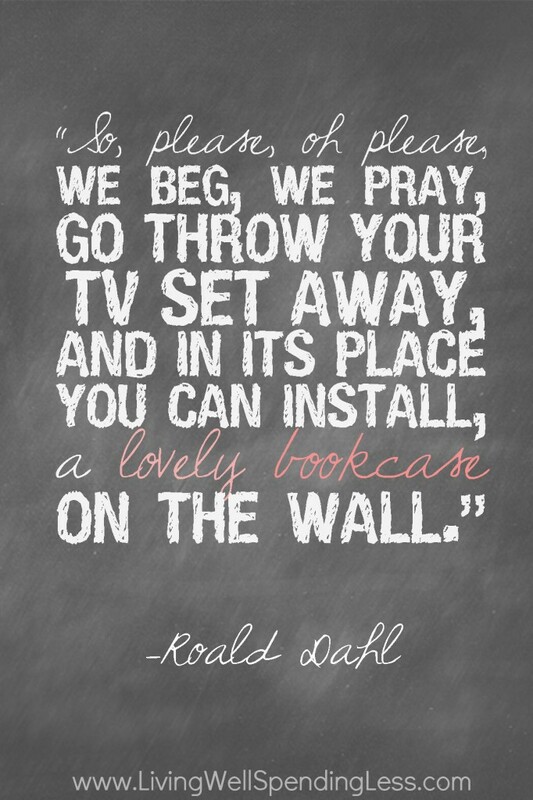 One thing I want to do is frame a couple of the quotes you guys have cited, particularly the Roald Dahl one above. Do you have a printable version of this? I can create it myself but yours looks much better. 🙂 Not that you need more work! When my wife and I got married we decided to buy a projector instead of a TV. We live in an apartment so we have to set the projector up every time we want to watch something. It has been great. We have never owned cable and only watch occasional movies. There is too many good books to read and too little time to read all of them. A book I would recommend is The Slight Edge. We have a projector in our living room instead of a TV and it is one of the best purchases we’ve ever made. It makes watching movies together a much bigger deal and that much more special! Thanks for the book recommendation! Love the idea of getting off the couch and away from the t.v. more – now if I could just separate myself from my laptop! Loving the Less & More series!